How much it costs to develop a real-time public transit companion like Transit App? How many times have you been through one of these situations – you missed your bus and will now miss your train! Or you found unexpected traffic on your way to office for an important meeting and when you reach the bus stop, but the bus is so crowded that you cannot board it. We all have experienced how frustrating it can get, right? Here is the problem – most of the cities in the world have a deeply established public transport system. Yet, the service of this very system is not very consistent. Thus, the planning required to be on time with the help of public transportation becomes more than meticulous – it becomes tiring, and yet, there is no assurance that you will reach on time. So, what do you do? Simple – use the Transit App. 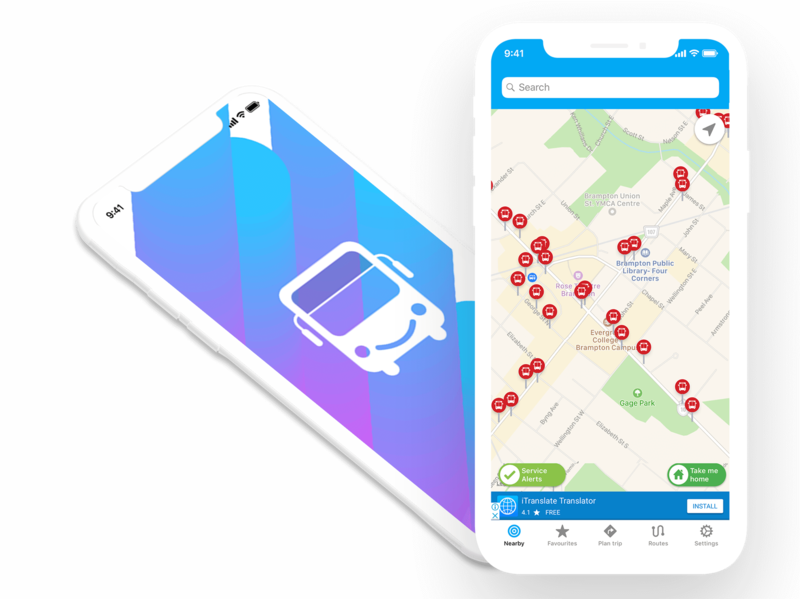 This public transit (travel) companion in the form of a real-time public transit data aggregator and provider, is a blessing to millions app users. The figures of this market are huge and they pose the exact opportunity required for disruption as well as value addition. Transit was launched in 2012 as a simple solution to get instantaneous data on public transit systems worldwide. In its 6 years of operations, Transit has been able to 125+ metro areas worldwide, providing real time data on arrival and departure of several public transport systems at a time. The business model of public transit app Transit is not linear. The value of such utility apps comes from the number of users and their interaction with the app. We can help you integrate a machine learning algorithm right into the processing of your app. This algorithm will go through the routes in real time and suggest the fastest possible routes for users as they see the instantaneous timings on the screens. With the help of this dashboard, you will be able to see the detailed journeys of your daily commuters. This will help you garner insights on their routes, durations and preferred commuting systems which will eventually help the app suggest better routes to your users. Why you should pair with us to develop your own Transit app? So, what are you waiting for? The market is ready and so are we – to help you launch the next big transit guiding app! What kind of 3rd Party Access will be required for setting up the app? You will need to provide us one source for updated transit system route info for each location, as this is a strategic partnership between you (product owner) and the local government. How long will it take you to hand over the final product? The final product shall be delivered and launched in 11-12 weeks time. How many locations will be included in your given estimate? We have currently considered The above estimate considers: 1 API source only. Each additional location or region requiring separate API would have to be sequentially integrated and updated in the database. Can the app work without internet connectivity? For live location tracking and route navigation, internet connectivity would be required. Same for booking a cab. The only information accessible in offline mode would be transit route information. How much will it cost to make the app multilingual? This completely depends on number of languages to be supported. Each new language would require 20-30 hours of effort per platform. 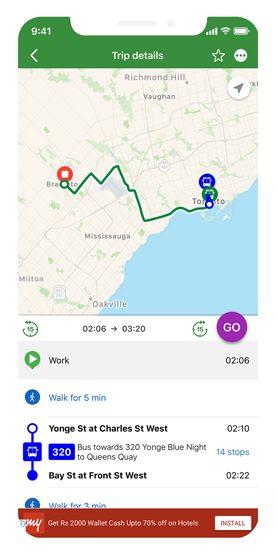 Have an !dea to develop app platform like torontotransit?